Hampton Roads Orthopaedics Spine & Sports Medicine invites our community to share in the celebration of National Doctors’ Day on Saturday, Mar. 30. This day provides us with an excellent opportunity to reach out and thank our physicians for their many contributions to ensuring high quality healthcare in our region. The first Doctors’ Day observance was on March 30, 1933, as a local celebration in Winder, Georgia by Eudora Brown Almond to mark the anniversary of the first use of general anesthesia in surgery. On March 30, 1958, a resolution commemorating Doctors’ Day was adopted by the U.S. House of Representatives. In 1990, legislation establishing Doctors’ Day was approved, and on Feb. 21, 1991, President George H. W. Bush signed the resolution designating March 30 as National Doctors’ Day. The first National Doctors’ Day was celebrated that year. The physicians at HROSM work tirelessly to ensure the health of our patients and community. In addition to providing healing care, our physicians also provide hope, compassion and comfort. We want them to know how much they are valued! Because of them, residents of Hampton Roads and the surrounding area are able to receive the very best orthopaedic care services! 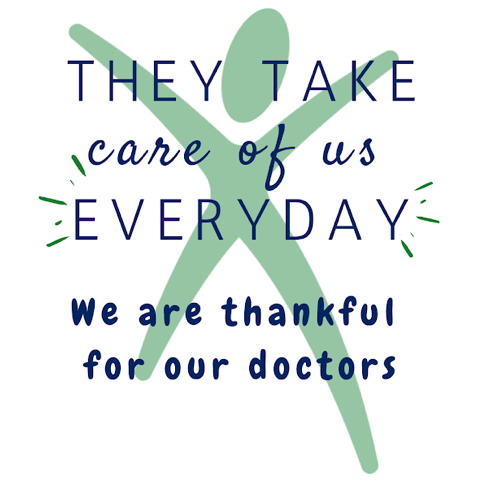 We come together with the rest of America to salute our healthcare professionals on National Doctors’ Day and hope that patients across the country will show their continued support and appreciation to their medical providers!